Log House Restaurant – Enjoy dining at the edge of the wilderness! Garnet Hill Lodge’s full service restaurant serves upscale country cuisine with a spectacular view. Guests also enjoy Preuninger’s Pub – featuring a pub menu also offers a variety of tasty selections, from meaty burgers and delicious hot sandwiches to savory salads and summer wraps. 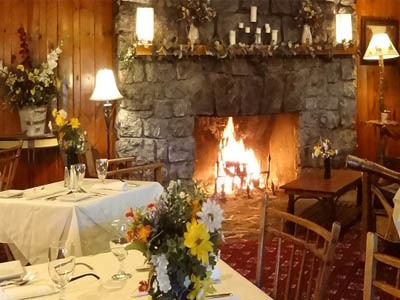 Garnet Hill Lodge, where the Adirondack spirit lives and thrives in dining, lodging and hospitality. Featuring adventure gatherings from birthday parties and weddings to corporate meetings, and retreats in a pristine, natural setting. Whatever your food mood, you’ll find something delicious at Garnet Hill Lodge to satisfy your appetite!